If you’ve read my previous posts, then you already know that SEO audits are a core service of mine. I still believe they are the most powerful deliverable in all of SEO. So when prospective clients call me for help, I’m quick to start checking some of their stats while we’re on the phone. As crazy as it sounds, there are times that even a few SEO checks can reveal large SEO problems. And that’s exactly what happened recently while on the phone with a small business owner who was wondering why SEO wasn’t working for them. While performing audits, I’ve found some really scary problems. Problems that spark nightmares for SEOs. But what I witnessed recently had me falling out of my seat (literally). 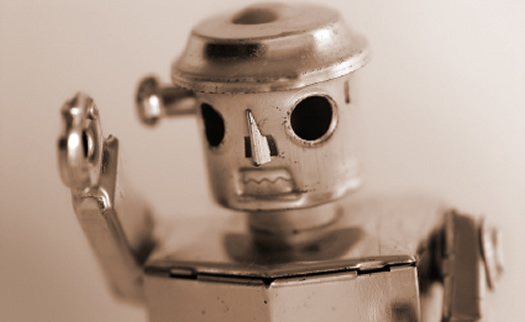 It was a serious robots.txt issue that was causing serious problems SEO-wise. I can tell you that I’ve never seen a robots.txt issue like what I saw while on that call. It was so bad, and so over the top, that I’m adding it as an example to my SEO Bootcamp training (so attendees never implement something like that on their own websites). Although robots.txt is a simple file that sits at the root of your website, it can still cause serious SEO problems. The result of the scary-as-heck robots.txt file I mentioned earlier is a small business website with only one page indexed, and all other pages blocked (including its core services pages). In addition, the robots.txt file was so riddled with problems, that I’m wondering if Googlebot and Bingbot are so offended by the directives that they don’t even crawl the site. Yes, it was that bad. Many small to medium sized businesses are skeptical of SEO companies. And I don’t blame them. There are some crazy stories out there, from SEO scams to SEOs not delivering to having all SEO work outsourced to less-experienced third parties. That leads to many SMBs handling SEO for themselves (which is ok if they know what they are doing). But in situations where business owner are not familiar with SEO best practices, advanced-level SEO work, etc., they can get themselves in trouble. And that’s exactly what happened in this situation. As you can imagine, the site I mentioned earlier is not performing well in search. The business owner didn’t know where to begin with SEO and was asking for me assistance (for setting a strong foundation that they could build upon). That’s a smart move, but I picked up the robots.txt file issue within 5 minutes of being on our call. 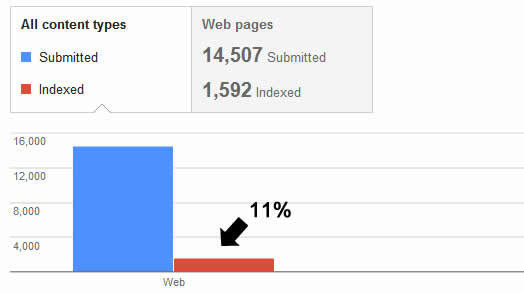 I did a quick site: command in Google to see how many pages were indexed, and only one page showed up. Then I quickly checked the site’s robots.txt file and saw the problems. And there were really big problems. Like 5K+ lines of problems. 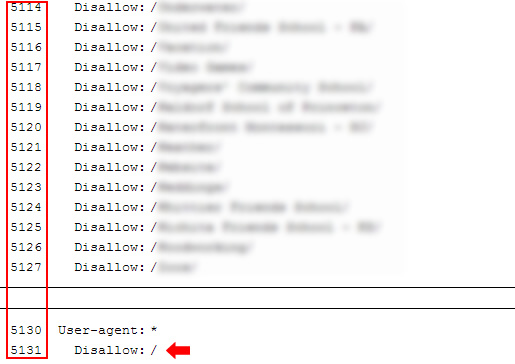 That’s right, over 5K lines of directives were included in this small business website’s robots.txt file. Keep in mind that most small businesses might have five or six lines of directives (at most). Actually, there are some with just three two or three lines. Even the most complex websites I’ve worked on had less than 100 directives. So to see an SMB website with 5K+ lines shocked me to say the least. The business owner was not happy to hear what was going on, but still had no idea what I was talking about. I sent them a link to their robots.txt file so they could see what I was referring to. I also explained that their web designer or developer should change that immediately. As of now, it’s still there. Again, this is one of the core problems when small businesses handle their own SEO. Serious problems like this can remain (and sometimes for a long time). What’s Wrong with the File? So, if you’re familiar with SEO and robots.txt files, you are probably wondering what exactly was included in this file, and why a small business would need 5K+ lines of directives. Well, they obviously don’t need 5K+ lines, and this was something added by either the CMS they are using or the hosting provider. It’s hard to tell, since I wasn’t involved when the site was developed. The file contains a boatload of disallow directives for almost every single directory on the site. Those directives were replicated for a number of specific bots as well. Then it ends with a global disallow directive (blocking all engines). So the file goes to great lengths to disallow every bot from hundreds of directories, but then issues a “disallow all” (which would cover every bot anyway). But it gets worse. The final line is a sitemap directive! Yes, the file blocks everything, and then tries to feed the engines an xml sitemap that should contain all urls on the site. But, the site is actually using a sitemap index file, which is typically used to include multiple sitemap files (if you need more than one). Remember, this is a small business website… so it really shouldn’t need more than one xml sitemap. When checking the sitemap index file, it only contains one xml sitemap file (which makes no sense)! If you only have one sitemap file, then why use a sitemap index file?? And that one xml sitemap only contains one URL!! Again, this underscores the point that the site is creating an overly complex situation for something that should be simple (for most small business websites). Blocks all search engines from crawling all content on the site. Is overly complex by blocking each directory for each bot under the sun. Contains malformed directives (like close to a thousand). Provides autodiscovery for a sitemap index file that only contains one xml sitemap, with only one URL listed! And all of those urls are blocked by robots.txt anyway! What To Do – Get the basics down, then scale. Keep it simple. Don’t take it from me, listen to Google. Only add directives when absolutely needed. If you are unsure what a directive will do, don’t add it. Test your robots.txt file. You can use Google Webmaster Tools to test your robots.txt file to ensure it blocks what you need it to block (and that it doesn’t block what you want crawled). You can also use some online tools to test your robots.txt file. You can read another one of my posts to learn about how one of those tools saved a client’s robots.txt file. Add autodiscovery to make sure your clean xml sitemap can be found automatically by the engines. And use a sitemap index file if you are using more than one xml sitemap. And if you’re a small business owner and have no idea what I’m talking about in the previous bullets, have an SEO audit completed. It is one of the most powerful deliverables in all of SEO and can definitely help you get things in order. If there’s one thing you should take away from this post, it’s that the basics are really important SEO-wise. Unfortunately, the small business with the 5K+ line robots.tx file could write blog posts until the cows came home and it wouldn’t matter. They could have gotten a thousand likes and tweets, and it would have only impacted them in the short term. That’s because they are blocking every file from being crawled on their website. Instead of doing that, you should develop a solid foundation SEO-wise and then build upon it. Nobody needs a 5K line robots.txt file, not even the most complex sites on the web. Remember, keep it simple and then scale. SEO Audits are a core service I provide, including both comprehensive audits and laser-focused audits tied to algorithm updates. There are times during those audits that I come across strange pages that are indexed, or I see crawl errors for pages not readily apparent on the site itself. As part of the investigation, it’s smart to analyze and crawl a website’s xml sitemap(s) to determine if that could be part of the problem. It’s not uncommon for a sitemap to contain old pages, pages leading to 404s, application errors, redirects, etc. And you definitely don’t want to submit “dirty sitemaps” to the engines. One metric that can help you understand if your xml sitemaps are problematic (or dirty) is the indexed to submitted ratio in Google Webmaster Tools. 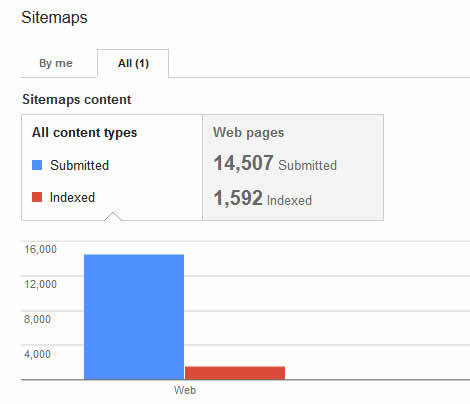 When you access the “Sitemaps” section of webmaster tools (under the “Crawl” tab), you will see the number of pages submitted in the sitemap, but also the number indexed. That ratio should be close(r) to 1:1. If you see a low indexed to submitted ratio, then that could flag an issue with the urls you are submitting in your sitemap. For example, if you see 12K pages submitted, but only 6500 indexed. That’s only 54% of the pages submitted. In addition to what I explained above about the indexed to submitted ratio, you might find crawl errors in Google Webmaster Tools for urls that don’t look familiar. In order to help track down the problematic urls, webmaster tools will show you how it found the urls in question. If you click the url in the crawl errors report, you will see the error details as the default view. 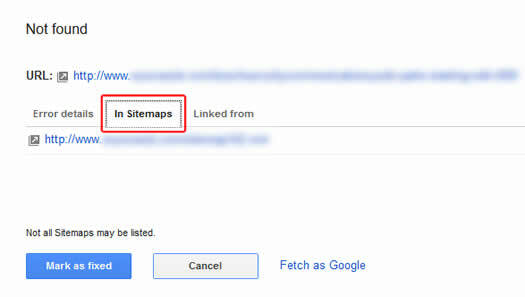 But, you will also see two additional tabs for “In Sitemaps” and “Linked From”. These tabs will reveal if the urls are contained in a specific sitemap, and if the urls are being linked to from other files on your site. This is a great way to hunt down problems, and as you can guess, you might find that the your xml sitemap is causing problems. If you do see a problematic indexed to submitted ratio, what can you do? Well, the beautiful part about xml sitemaps is that they are public. As long as you know where they reside, you can download and crawl them using a tool like Screaming Frog. I’ve written about Screaming Frog in the past, and it’s a phenomenal tool for crawling websites, flagging errors, analyzing optimization, etc. I highly recommend using it. 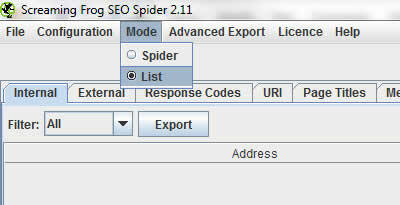 Screaming Frog provides functionality for crawling text files (containing a list of urls), but not an xml file (which is the format of xml sitemaps submitted to the engines). That’s a problem if you simply download the xml file to your computer. In order to get that sitemap file into a format that can be crawled by Screaming Frog, you’ll need to first import that file into Excel, and then copy the urls to a text file. Then you can crawl the file. And that’s exactly what I’m going to show you in this tutorial. Once you crawl the xml sitemap, you might find a boatload of issues that can be quickly resolved. And when you are hunting down problems SEO-wise, any problem you can identify and fix quickly is a win. Let’s begin. Quick Note: If you control the creation of your xml sitemaps, then you obviously don’t need to download them from the site. That said, the sitemaps residing on your website are what the engines crawl. If your CMS is generating your sitemaps on the fly, then it’s valuable to use the exact sitemaps sitting on your servers. So even though you might have them locally, I would still go through the process of downloading them from your website via the tutorial below. Enter the URL of your xml sitemap, or the sitemap index file. A sitemap index file contains the urls of all of your xml sitemaps (if you need to use more than one due to sitemap size limitations). 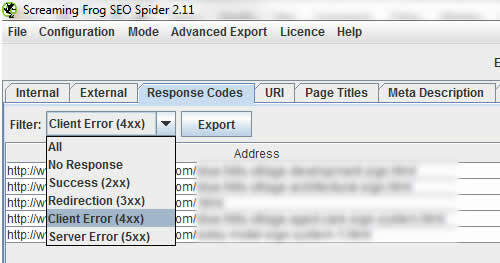 If you are using a sitemap index file, then you will need to download each xml sitemap separately. Then you can either crawl each one separately or combine the urls into one master text file. 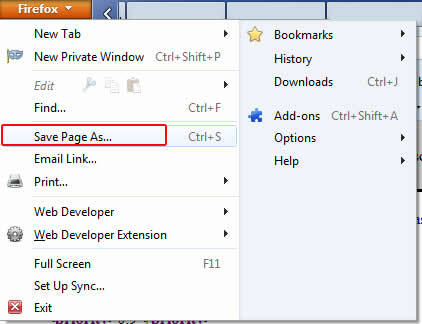 After the sitemap loads in your browser, click “File”, and then “Save As”. Then save the file to your hard drive. I mentioned earlier that Screaming Frog will only crawl text files with a list of urls in them. In order to achieve this, you should copy all of the urls from column A in your spreadsheet. Then fire up your text editor of choice (mine is Textpad), and paste the urls. Make sure you delete the first row, which contains the heading for the column. Save that file to your computer. Next, we’re ready to crawl the urls in the text file you just created. Fire up Screaming Frog and click the “Mode” tab. Select “List”, which enables you to load a text file containing a series of urls. Once you select “List Mode”, then click the Upload List button and select “From a file”. Then select the text file you created. Screaming Frog will load the urls and display them in a window. Once you click OK, the crawl will begin. When the crawl is done, you now have a boatload of data about each url listed in the xml sitemap. The first place I would start is the “Response Codes” tab, which will display the header response codes for each url that was crawled. You can also use the filter dropdown to isolate 404s, 500s, 302s, etc. You might be surprised with what you find. Once you analyze the crawl, work with your developer or development team to rectify the problems you identified. The fix sometimes can be handled quickly (in less than a day or two). Although XML sitemaps provide an easy way to submit all of your canonical urls to the engines, that ease of setup sometimes leads to serious errors. If you are seeing strange urls getting indexed, or if you are seeing crawl errors for weird or unfamiliar urls, then you might want to check your own sitemaps to see if they are causing a problem. Using this tutorial, you can download and crawl your sitemaps quickly, and then flag any errors you find along the way. Let’s face it, quick and easy wins are sometimes hard to come by in SEO. But finding xml sitemap errors can be a quick an easy win. And now you know how to find them. Happy crawling.